Nevada Backroaders • View topic - Has anyone been to Toroweap Overlook, AZ? Has anyone been to Toroweap Overlook, AZ? Post subject: Has anyone been to Toroweap Overlook, AZ? Also known as Tuweep. (I think the general are is Tuweep, the overlook is Toroweap, both variations on the same Paiute word.) It's in the Arizona Strip on the northern rim of the western Grand Canyon, south of Fredonia. I'm intrigued by the place, and wouldn't mind visiting. It's 3,000' down to the river, and you can see where a lava flow dammed up the river, then the dam got eroded away. It's park service land. Apparently some folk do manage the 70-mile dirt road in sedans at times, though it's discouraged. The run supposedly takes 3 to 4 hours one way from Fredonia, AZ, which is 3 hours from Vegas, so it might make more sense to do it as an overnight, or even two, basing from Fredonia or St. George. There's a campground at the site with picnic tables and composting toilets, but there's no water - we'd have to bring our own; not exactly KOA. If we did the run as a group, (How many vehicles is a group? ), there's a special use permit required that we'd have to submit at least a month in advance, with a fee of $250 that we'd have to divide up. Has anybody been here? Would anybody be interested in going? If there's interest, I can try to contact the St. George club and see what their fee situation was, and contact the Park Service and get their take on it. Post subject: Re: Has anyone been to Toroweap Overlook, AZ? I see somebody here tried to organize a trip back in 2011, but it got cancelled due to weather. A few folk in the club at the time mentioned that they'd been to the site, but I don't know if they're still in the club. There are several lava flows at Mt. Trumbull, which is a short distance from Totroweap. I went there with a group of teachers, along with geologists from Nevada State College And UNLV. We also went to Toroweap as well. Unless they *fixed* the road to Toroweap, a high clearance vehicle is needed. It is a fantastic view. A 2 day event would be neat to see a bit more. I'd be interested. And define high clearance..? We talking axle clearance or overall clearance with sliders clearance? High clearance as in truck or SUV. A minivan or regular height car will not clear the road up to Toroweap. I have been to Toroweap, Whitmore Point and Twin Point on separate occasions. 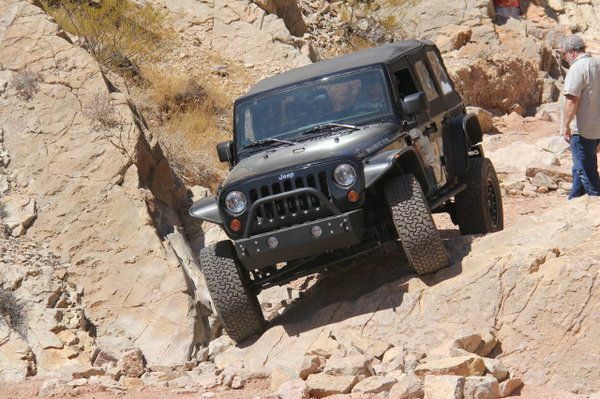 High clearance for the last few miles is about all you need. I am afraid I can not make tomorrow's ride but we can talk anytime if you have any question. Dawn, Tom or Rex have our number. One of these days I want to go to Kelly's Point Overlook, https://goo.gl/maps/M17Prn31FyQ2 I have tried to get there but had to turn back because of rain and mud that stuck like glue to the tires. Sometimes the adventure to the destination is better than the destination.. But I can understand some risks arent worth the losses.. The Grand Canyon overlook at Toroweap is on my 'bucket' list. I understand it has the best views of the Canyon and the Colorado River far below. Weather is critical for a safe and successful trip. May or June are the best months to overland to Toroweap as these months are historically the driest and sunniest. Violent monsoon storms can hit the Canyon rim during late June into early September. At a minimum a three day/two night adventure. 2018 anyone ??? Mos def sounds like something that would need to be planned in advance.. I'd like to look into this one. if not with the ranger for sure with the womans 4Xterra..
Been there many times and camped at the overlook and on Mt. Trumbull. Kanab point has some amazing views as well and not to far from Toroweap Overlook. On the other side of Mt. Trumbull there is Bar10 ranch and Whitmore point and Mt. Trumbull school house. Some petroglyphs in the area along with caves to explore. So 2 day trip is nice if you want to explore a bit.